Railway Recruitment Board RRB has released the RRB ALP Recruitment Notification 2018 for the students who are eagerly waiting for the Central government jobs in India. It is a great opportunity to grab chance in the Central government. RRB Board has released a total of 26567 Vacancies for RRB ALP Recruitment 2018. Candidates can check RRB ALP Recruitment 2018 notification details clearly in the following sessions. Candidates can also apply for the RRB ALP Recruitment 2018 online through the links provided below. The links provided here will directly redirect the candidate to the official website in order to submit the required information. Finally, we suggest the candidates start preparation for the RRB ALP Written Exam as early as possible. The Complete Vacancy details of RRB ALP Recruitment 2018 has mentioned in the above table. The complete details of RRB ALP Recruitment 2018 have mentioned in the above table. The Starting date for the submission of online RRB ALP Application Form will be updated soon. 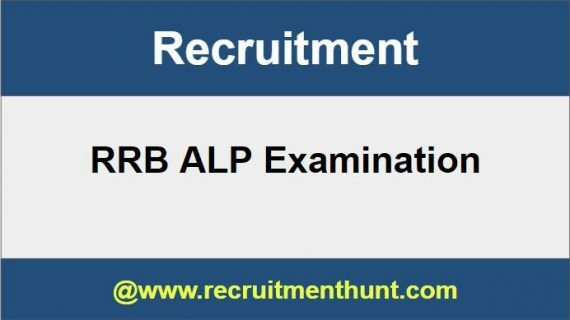 To apply for RRB ALP Recruitment 2018 one must know the RRB ALP Application process, Eligibility Criteria, etc. Finally, here, we have provided the complete RRB ALP Vacancy list state wise for the Aspirants who are going to apply for RRB ALP Recruitment 2018. With this information, Aspirants will get information about no of Vacancies given for each state. So, we advise the candidates check the RRB ALP Vacancy list clearly before applying for the RRB ALP Exam. Prefer the state which is having more number of vacancies. RRB ALP Recruitment Age Limit is as follows. For General Category Minimum Age limit is 18 years and maximum Age limit is 28 years. For SC/ ST candidates is 5 years. Candidates who apply for RRB ALP Recruitment 2018 must possess any of the following certifications from a recognized university. The Selection process for RRB ALP Examination is as follows. The RRB ALP Exam Application Charges are as follows. Search for the link of RRB ALP Notification 2018 notification. Read the RRB ALP Notification 2018 carefully. Click on Apply Online RRB ALP link. Fill the RRB ALP Application form with correct details. Verify and submit RRB ALP Application. Take a print of RRB ALP Application Form for future reference. Visit our website Recruitment Hunt regularly for more latest updates regarding all Government Jobs. Also, recruitment Hunt provides content for Notifications, Admit Cards, Previous Year Question Papers, Competitive exams syllabus, Results and many more.